Maypole MP7428 8A 12V electronic smart charger|County Battery. Buy Online Today. Description: Maypole MP7428 8A 12V Electronic Smart Charger is suitable for cars, vans and leisure vehicles. 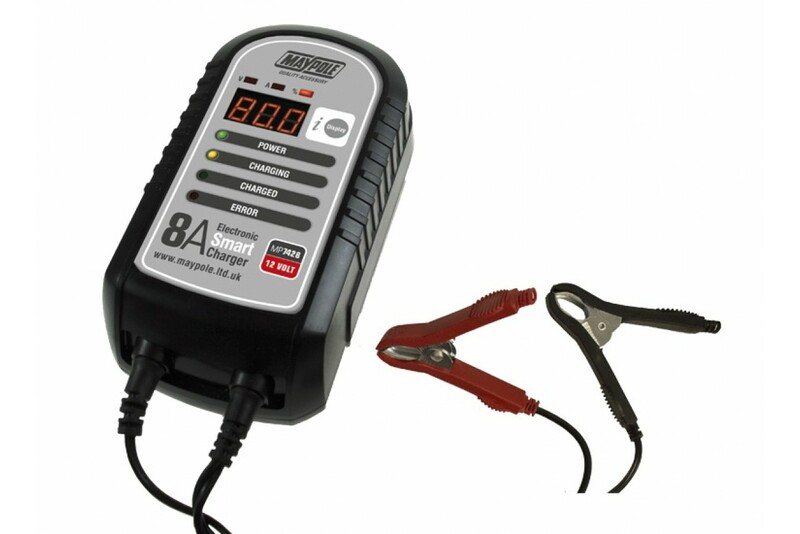 This charger is suitable for AGM, Leisure and Stop-Start batteries. Although fairly slow delivery the charger arrived within the agreed time scale. Great smart charger, ideal to keep my leisure battery charged to optimum. The smart charger feature doesn't overcharge the battery. Good value too. Good product and price. The Maypole charger is excellent to charge leisure battery and the smart charger feature works brilliantly. Brilliant communication about when item would be in store. Collection no problem. Great, thank you.